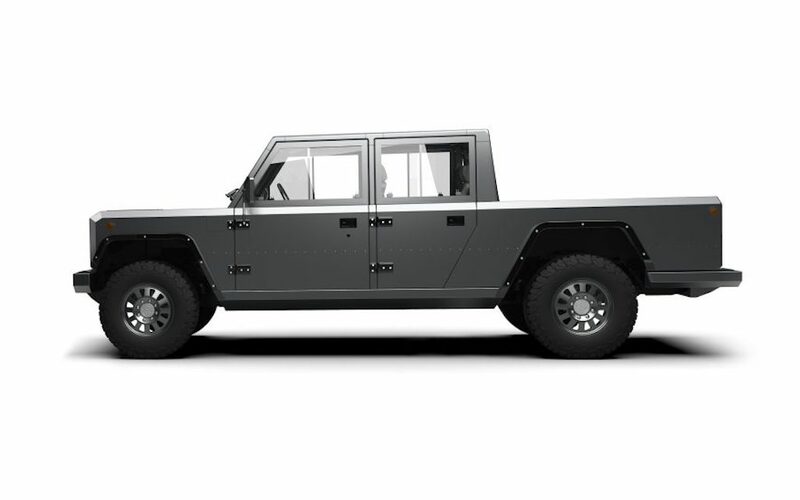 Last time we checked in on auto startup Bollinger Motors, they had racked up 12,000 preorders for their inaugural electric B1 SUV. 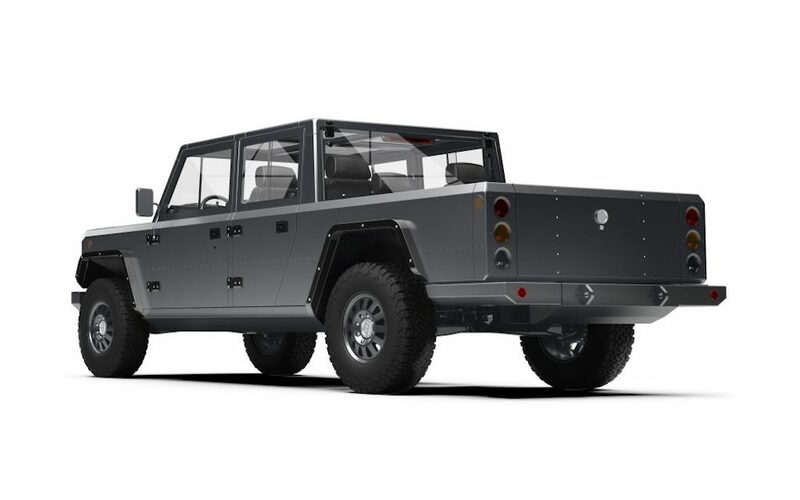 Here to blow it out of the water: their second offering, the electric B2 Pickup Truck. Wait, does that mean the B1 is in production with 12,000 happy customers, making them confident enough to release a second, even more ambitious vehicle? Not quite. You can reserve both the B1 and B2 for no money down, with a timeline that calls for deposits in 2019 and production starting in 2020. 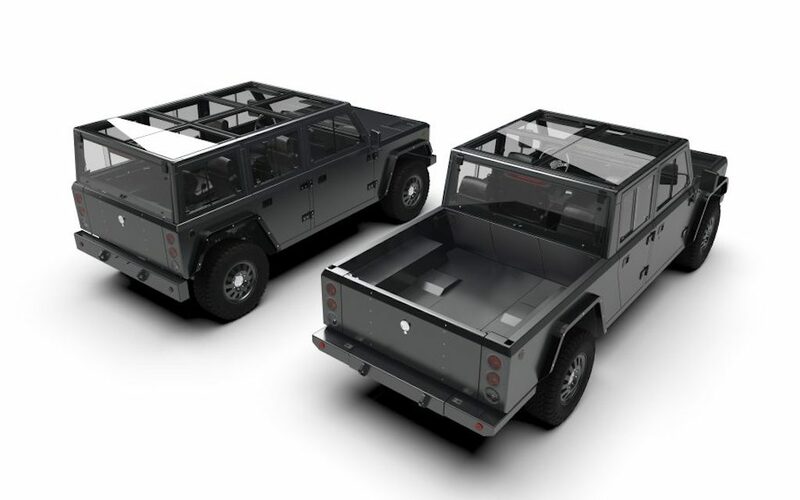 In their defense, the electric pickup has remained elusive in terms of full-scale production, even for first-to-market Workhorse, who unveiled their W-15 over a year ago. Where the B2 differs is, obviously, in the hauling and size. 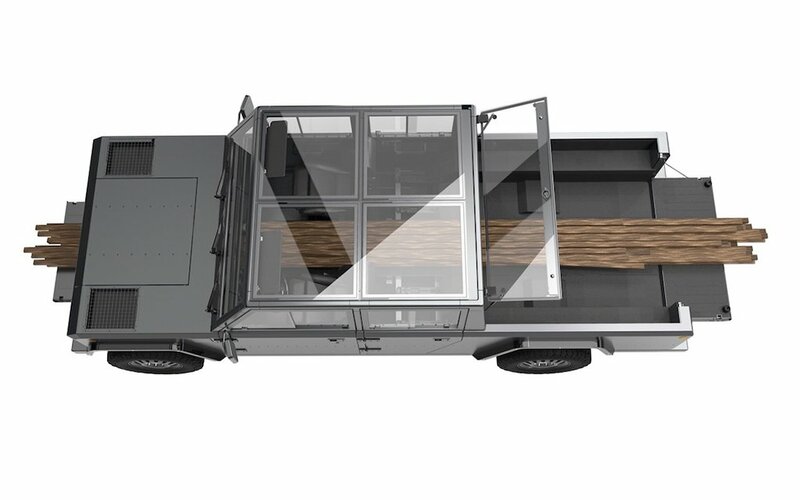 It’s still a Class 3 work truck with a hauling capacity of 5000 lbs., but there’s a 4’11” by 5’9″ bed (or 8’2″ with the cab wall open and rear seats removed). As for overall proportions, the B2 is longer by three feet at 207.5″, but the width and height are the same, at 77.2″ and 72.7″, respectively. That’s all she wrote for now, especially considering these images are renderings. But since “reserving” one doesn’t require a down payment of any kind, go ahead and get on the list if you’re so inclined.